This week is exciting for sports fans with both the NHL Stanley Cup Finals beginning tonight and the NBA Finals starting tomorrow. 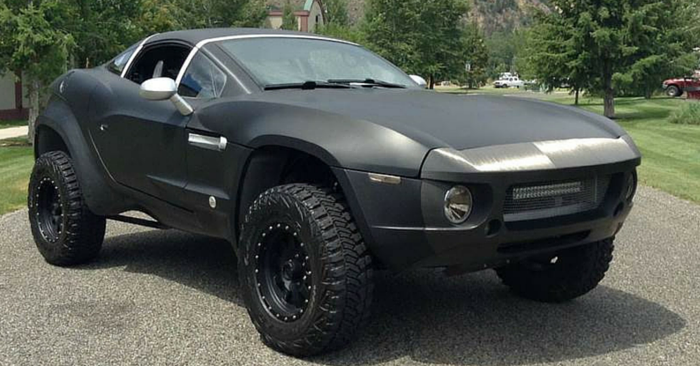 For this week’s Weird Stuff Wednesday, we decided to take a look at some interesting sports themed vehicles currently listed on Carsforsale.com. Even though the season is coming to an end for these two sports, it’s never too early to buy a tailgating vehicle for next season. 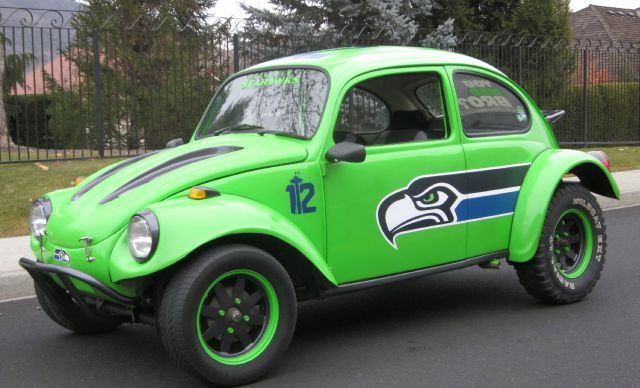 This 1969 Volkswagen Beetle Baja available in Yakima, WA, was custom painted to celebrate the Seattle Seahawk’s victory in Super Bowl XLVIII. From the exterior decals to the inside of the dashboard, Seahawks logos are all over this action green colored bug. In addition to the Seahawk’s logo, a 12th Man symbol and quote from cornerback Richard Sherman, “You Mad Bro” also cover the exterior. which was what he asked Tom Brady after the Seahawks 43-8 victory over Brad and the New England Patriots. 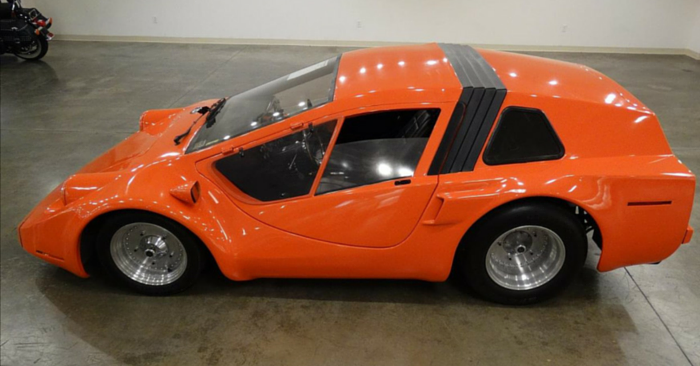 The most enjoyable part of this vehicle listing is the photos of the VW Bug all around the city of Seattle. 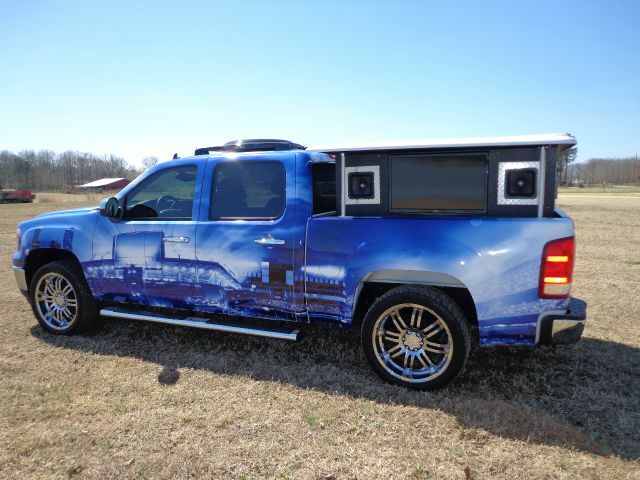 You can own a small piece of Chicago Bears history with this 2012 GMC Sierra 1500 SLE Crew Cab for sale in Booneville, MS. This GMC Sierra features a beautiful Chicago city scape image on the outside of the vehicle that include views of Soldier Field. What makes this vehicle impressive, isn’t necessarily the view from the outside, but the audio visual equipment packed into the inside bed of the truck. This Sierra has more audio capabilities that many small high school gymnasiums. A simple flip of a switch and you have the control of what people four blocks down the road are listing to when they drive. This showpiece quality vehicle has only 3,000 original owner miles so you’ll be able to follow the Chicago Bears all around the country with this vehicle for many years to come. 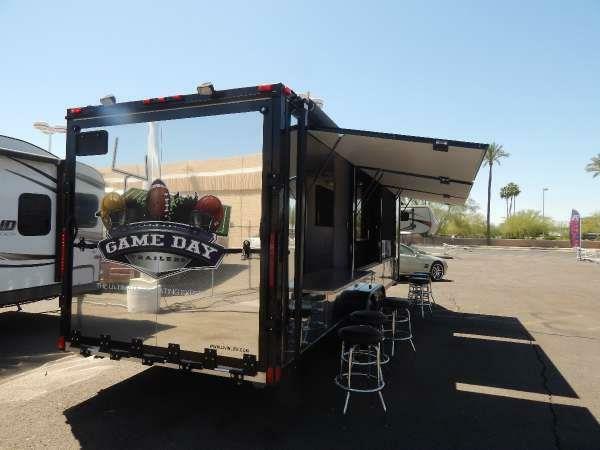 A custom 2014 Livin’ The Life Game Day Trailer selling out of Mesa, AZ is exactly what any seasoned tailgater dreams of buying someday. 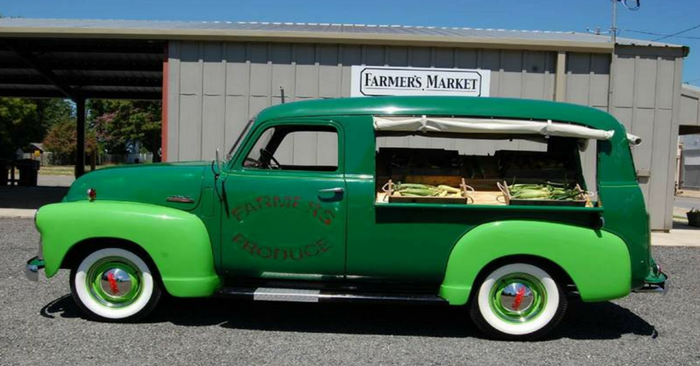 Whether you just bring the family to tailgate or the entire extended family, including your uncle you haven’t seen since the wedding along with his eight kids, this vehicle is big enough to host any sized outdoor party. This custom trailer is complete with drop down television screens and barstools to catch the pre-game coverage before heading into the game. Vision Motor Sports specializes in custom tailgating trailers so you can add your personal touch with your business logo, last name or any other design to the sides of this trailer. 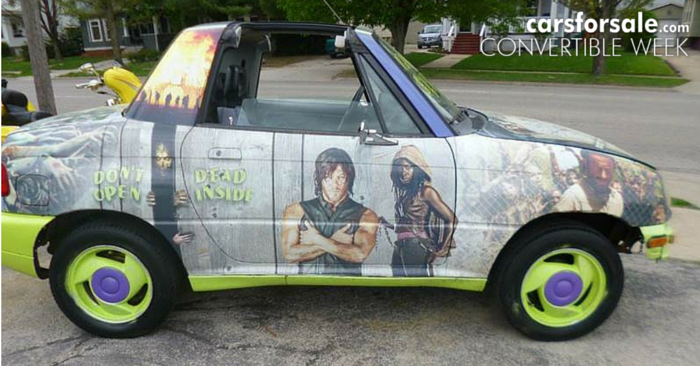 Remember to send us any weird or strange vehicles you find while searching Carsforsale.com. We love to see them and we may even include them in an upcoming Weird Stuff Wednesday.